In the fall and winter seasons there's nothing like homemade soups and stews. All-Clad stock pots are designed with flavorful stocks and soups in mind. 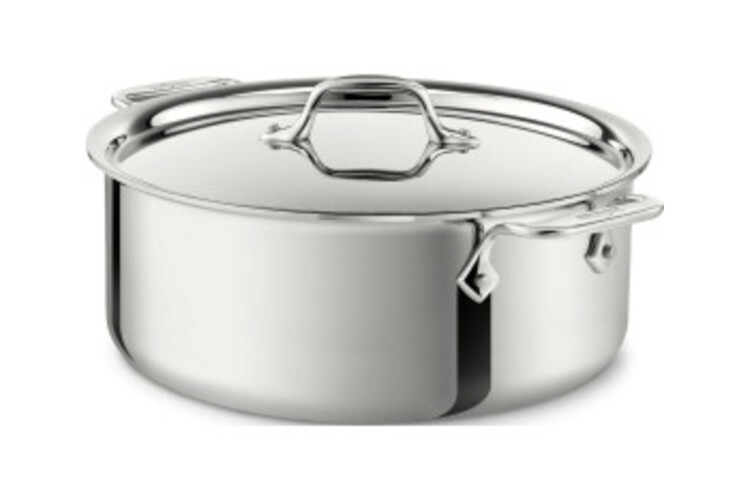 Thanks to its unique design with a Stainless Steel-coated aluminum core, liquid contents are cooked evenly without hot and cool spots.You can heat liquid rapidly then allow it to simmer slowly to allow you stock to absorb the full flavor of the meat. All-Clad Stockpots are wonderful for simmering large quantities of liquids. They have straight sides and are deep enough to be very versatile. They also have two of the company's signature loop handles for easy carrying, lids fashioned from gleaming 18/10 stainless steel, and highly durable, stainless steel rivets.